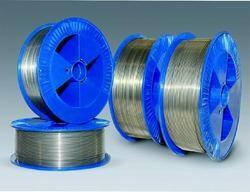 Prominent & Leading Manufacturer from Pune, we offer stainless steel flux cored wires and low alloy flux cored wire. 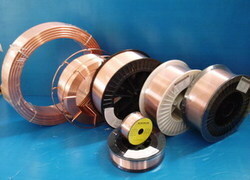 The stainless steel flux cored wire having stable and smooth arc,with good slag detachability. Specially designed for welding of 1.25% Cr, 0.5%Mo steels with high temperature and pressure service conditions in steam pipes and boilers. Specially designed for welding of 2.25% Cr, 1.0% Mo steels with high temperature and pressure applications are involved in steam boiler piping, oil refinery, chemical plants etc. Looking for Fluxcored Wires ?